You Are Here: Home > 2018 INFINITI Q60 vs 2018 INFINITI Q50 | What’s the Difference? 2018 INFINITI Q60 vs 2018 INFINITI Q50 | What’s the Difference? The 2018 INFINITI Q50 sedan and the 2018 INFINITI Q60 sports coupe aren’t in competition. They actually complement each other quite well. Ready to turn daily commuters into driving enthusiasts, either model may be right for you. Let’s look at how they compare. Wards 10 Best Engines List included the INFINITI 3.0-liter V6 twin-turbo in 2017. You’ll find this engine on the INFINITI Q50 and Q60. Drivers will notice smooth acceleration. Ample power comes from the new direct injection gasoline fueling system. Lightweight aluminum construction helps reduce the car’s curb weight. In one configuration, the twin-turbo V6 produces 300 horsepower and 296 lb.-ft. of torque. In the Red Sport 400 editions, a high-performance option spits out 400 horsepower and 350 lb.-ft. of torque. For a fuel-sipper, the two cars have a turbo four edition, generating 208 horsepower and 258 lb.-ft. of torque. Action is controlled by a seven-speed automatic. INFINITI is offering navigation-linked shift control. It knows the road. Both vehicles have been engineered for racy handling. Active Trace Control regulates wheel speed for better flow around curves and turns. Vehicle speed-sensitive Hydraulic Electronic Power Steering is standard on the 2.0T editions and replaced by a more advanced Electronic Power Steering on the 3.0T and Red Sport 400 models of both the Q50 and Q60. In an INFINITI first, the Q50 and Q60 models are offering Direct Adaptive Steering®. This exclusive feature streamlines the electronic steering mechanism, adapting the driving style to the road conditions. Constant, subtle adjustments smooth out uneven or rough roads. Drivers will notice a more precise response to their commands and fewer distractions such as excessive vibrations. The Q60 2.0T comes in PURE and LUXE editions. 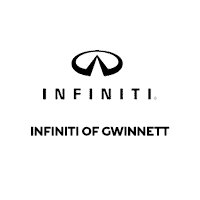 Standards include a dual-zone climate system, the INFINITI Intelligent Key, and Bluetooth streaming audio. An InTouch dual display system is on the dash. The driver gets a power chair, and the rear seat folds for extra cargo space. If you step up to the Q60 3.0T, you can choose LUXE or Sport editions. This adds fun stuff like a 13-speaker Bose® Performance Series Audio System with Advanced Staging Technology. The Q60 Red Sport edition comes with standard leather, red contrast stitching, and carbon fiber trim. The driver enjoys an entry/exit assist system for the power chair and the power-adjusting steering wheel. Q50 sedans parallel this trim lineup and offer similar features. A test drive will help you learn more. Stop by our dealership and bring your questions for our knowledgeable staff.